Astoria drivers looking for nearby used cars for sale are encouraged to take advantage of the extensive used vehicle inventory available at Warrenton Kia. 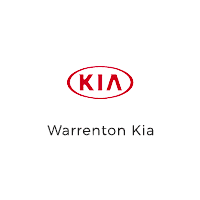 Whether you’re looking for Kia used cars for sale, like a used Kia Sorento SUV, or a used vehicle from another make altogether, we have a wide variety of high-quality used cars Warrenton drivers are searching for! And because we want you to get a great used car deal, we offer plenty of used vehicle exclusive offers, not to mention vehicles under $10k, to further sweeten the deal. No more wondering, “Where can I find affordable used cars near me?” Visit our Kia used car dealership today, and experience the Warrenton Kia difference throughout the whole used car-buying process – we’ll even be there for you after you leave the lot! Rely on our service department to maintain your used Kia car or SUV, and feel free to contact us in the meantime with any questions about our pre-owned inventory.